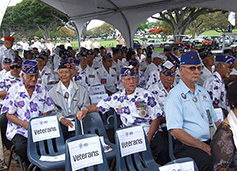 The Pacific Health Research and Education Institute (PHREI) is an independent, non-profit biomedical research organization dedicated to improving health and healthcare for veterans and all people in Hawaii and around the world. Driven by the values of excellence and innovation, PHREI scientists focus on a range of health issues, including PTSD, neurodegenerative diseases, cancer, diabetes, aging, obesity, cardiovascular disease, women’s health, telehealth and healthcare delivery. Hawaii’s diverse ethnic population, island setting, and collaborative spirit provide a rich environment for epidemiological research that addresses health concerns on a local, national, and international scale. PHREI is an affiliate of the VA Pacific Islands Health Care System (VA PIHCS) and the VA Central California Health Care System (VA CCHCS). While an affiliate of the VA, PHREI receives no research funding from the VA. PHREI develops and conducts research and education programs to address the health and health care needs of veterans throughout the Pacific region, central California, and the U.S. 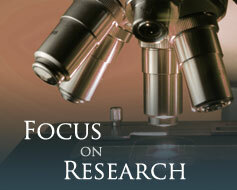 Specific research areas include PTSD and its impact on the veteran, family members, and their community. Your tax deductible donation will help us to continue our vital research as we strive to improve the health and healthcare available to all people, focusing on the special needs of our veterans. Please click on the button below to make your donation. All transactions are processed by PayPal™ with industry-leading security technology and data protection. You may provide special instructions or information regarding your donation by clicking on the "Add special instructions to the seller" link on the donation page. Do you shop on Amazon.com? There is an easy way for you to help PHREI through the AmazonSmile program, at no cost to you! For every eligible purchase you make on smile.amazon.com, Amazon will donate 0.5% of the purchase price to PHREI. You will need to make your purchases from the smile.amazon.com website (as opposed to www.amazon.com) in order for your purchases to be eligible for the dontation. Currently, the Amazon App for your mobile devices does not work with the AmazonSmile program. You will need to place your orders through a web browser on smile.amazon.com. Click here to select PHREI as your AmazonSmile charitable organization and to read more about the program. On behalf of our veterans, we thank you for your support!